Creating New Experiment is very Easy. All you need is as set of Images that you want to test. Either they are posters, commercials, or website screens - you can upload all of them into single Experiment. Choose your Images and wait for them to be uploaded and converted by system (it may last few minutes). Click "Run Experiment" - It's that simple! 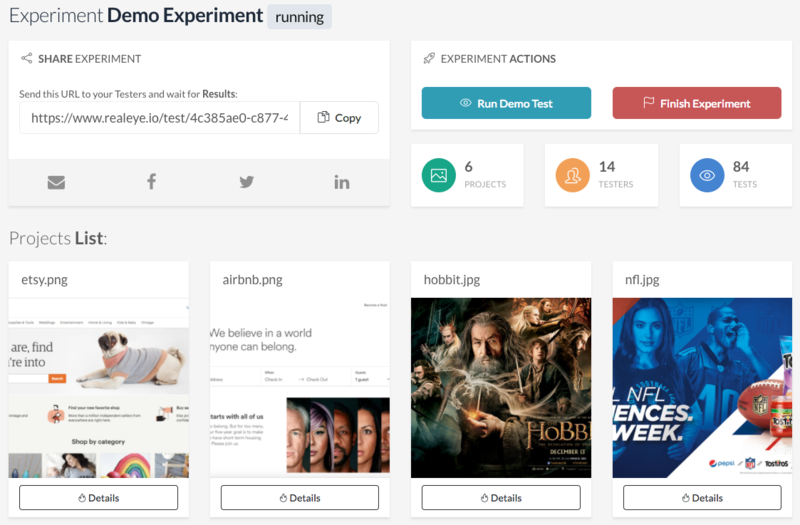 When your Experiment is up and running, you can share Test URL with your Testers or co-workers to check their reaction for Images.